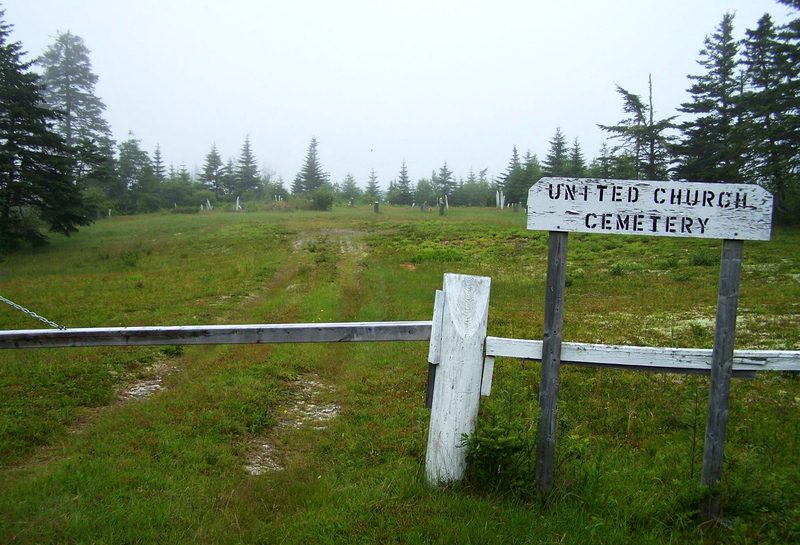 Today I added a page for the United Church Cemetery at Quoddy, Halifax County, NS. In all my years travelling the eastern shore, I’ve never seen a church on the property, only the cemetery. If one existed, it was decades ago. To date, I have only two headstones photographed. The one I added today was for John McDonald. The information on his headstone indicates he would have been born in c1844. 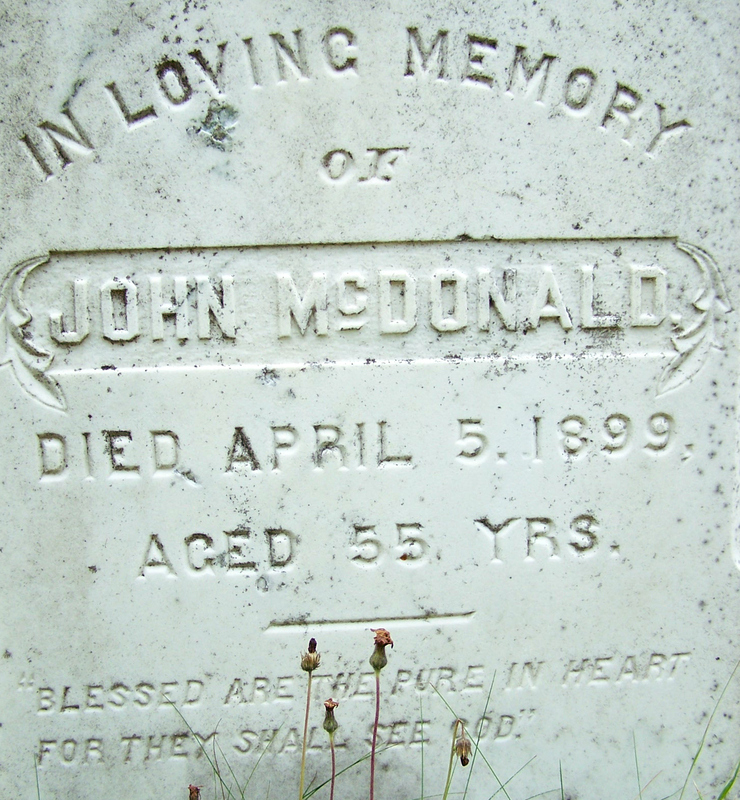 I found a marriage record for a John McDonald and Mary Shiers that may be for this man. 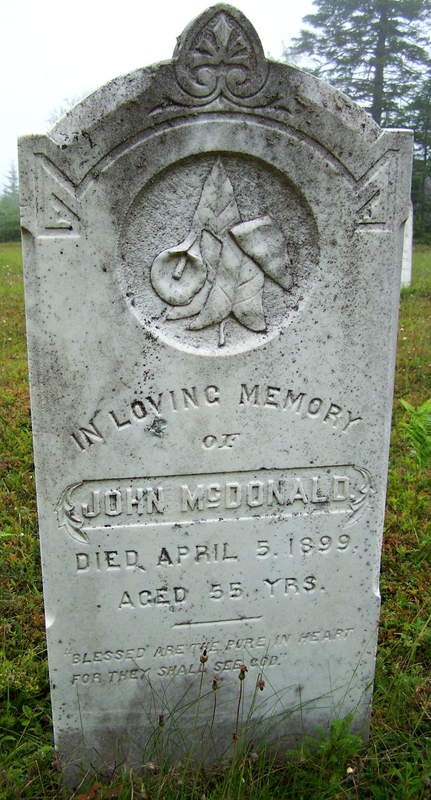 They married on May 10, 1870 at Lower Quoddy. John was 25 years old at the time, giving him a birth year of c1845. According to the record, he was born at Shelburne and living at Harrigan Cove, the son of Elizabeth and Daniel McDonald, and working as a mariner. Mary Shiers was 24 years old. She was living at Lower Quoddy, but the born location was blank. She was the daughter of Ann and Fredrick Hartling. She was recorded as a spinster, so she probably wasn’t a widow. That may indicate she was raised / adopted by the Hartlings. Found in the 1871 census, the couple lived at Salmon River, Halifax County. John was 28, working as a seaman, and Mary was 25 years old. Found in the 1881 census, the couple lived again at Salmon River. John, age 35 and Scotch, was a store keeper. Mary was recorded as French and 35 years old. A married couple, Ann (age 73, English) and Phillip (age 84, German) Hartling lived in the household with them. A six-year-old boy, Alexander Shiers, age 6, lived there too. He was noted as French and attending school. Found in the 1891 Census, Mary, age 45, and John, age 46, continued to live at Salmon River. Also in the household were Ann Shiers (age 88, widow) and Alexander MacDonald (age 16). It appears Alexander was their adopted son who was recorded as Shiers in 1881, the only child I found for them to date. Ann may have been Ann Hartling who lived with them in 1881, and she is probably the Ann noted in the marriage record. John passed away before the 1901 Census, and I couldn’t find Mary. Atkins, Martha Belle: Born October 5, 1894 at Harrigan Cove, Halifax County, NS, daughter of Augusta Pye and Charles R. Atkins.